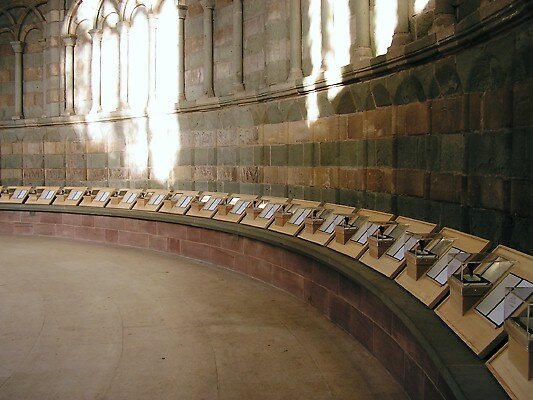 This installation in the Chapter House of Worcester Cathedral explores the questions which are asked in hymns. 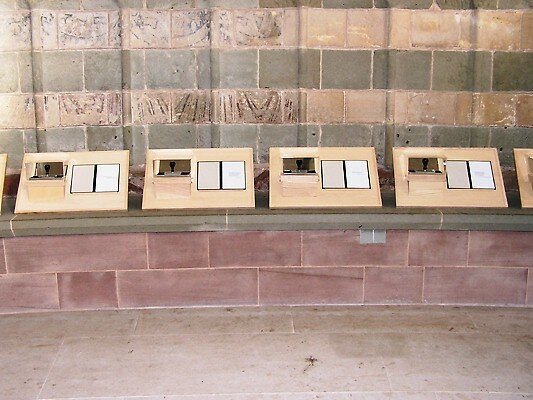 On the stone benches all around the Chapter House will be lecterns, one for each question that John Newling found, each of which testifies to our uncertainty. It explores the nature of doubt and the struggle for faith that is expressed in the Church's hymn book. Hymns are traditionally seen as proclamations of religious certainty, a vocal manifestation of complete faith. Newling, however, has concentrated on the surprising number of questions and doubts contained within them. 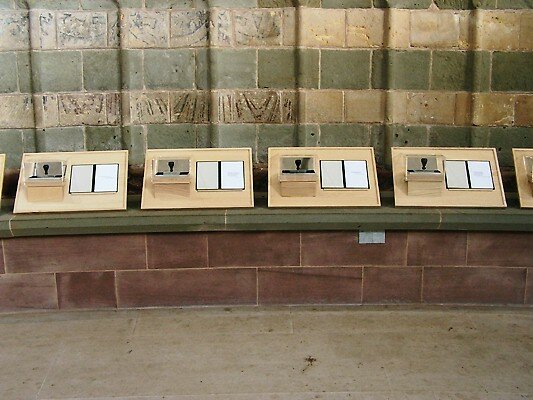 Each lectern contains a rubber stamp and ink pad; and a book containing one page with the question from one hymn stamped upon it. Stamping onto paper is normally seen as an expression of bureaucratic certainty, an absolute truth, thus by subverting their use Newling has succinctly created a metaphor for two thousand years of spiritual doubt. 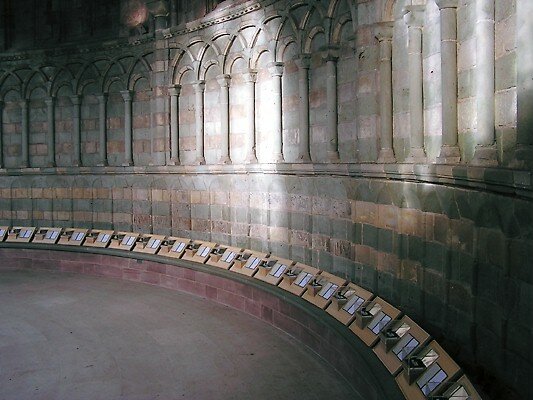 Previously venued at Canterbury and Carlisle Cathedrals, amongst other places, it has been specially adapted for the Chapter House here at Worcester. The Reverend Canon Dr Georgina Byrne, Residentiary Canon comments: “A living faith is a faith that is unafraid to ask difficult questions. From the agonised 'why' in the Psalms of the Old Testament through 'doubting Thomas' in the New Testament right up to the ethical dilemmas in our own time, Christians have always wrestled with matters of life and faith. This remarkable installation reveals some of the many questions embedded in our hymns, and in doing so reminds us that, even in the end, the very heart of our faith lies in the great mystery we call God."